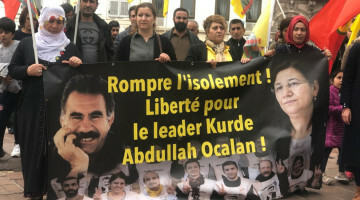 The prisoners on hunger strike in Antep H-Type Closed Prison urged the society to raise their voice against the isolation imposed on Kurdish People's Leader Abdullah Öcalan. 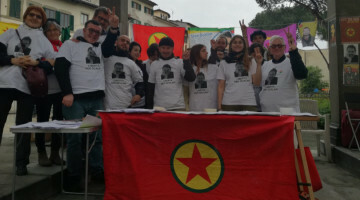 Peoples’ Democratic Party (HDP), Democratic Regions Party (DBP), the Free Women's Movement (TJA), the Labor Party (EMEP) and the Communist Party of Kurdistan (NCC) promoted the Newroz celebration in Antep. 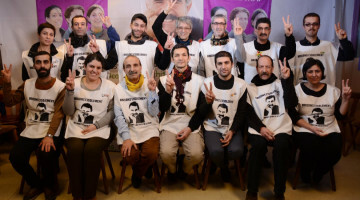 The prisoners in Antep H-Type Closed Prison sent a Newroz message saying that they were on a hunger strike demanding the end of isolation against Kurdish People's Leader Abdullah Öcalan and urged the society to raise their voice against this unlawful practice. 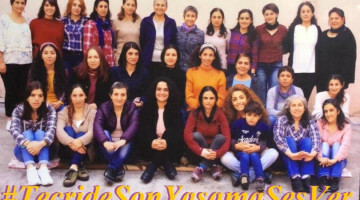 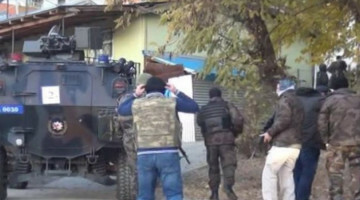 Toğrul reiterated that Leyla Güven's demand is the entire people’s demand. 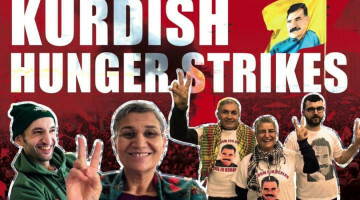 Toğrul reminded and paid tribute to political prisoner Zülküf Gezen who ended his own life to raise the struggle for the end of isolation.